Thought I would start a thread focused on response to Matthew, as it may be useful to share our experience, questions etc. 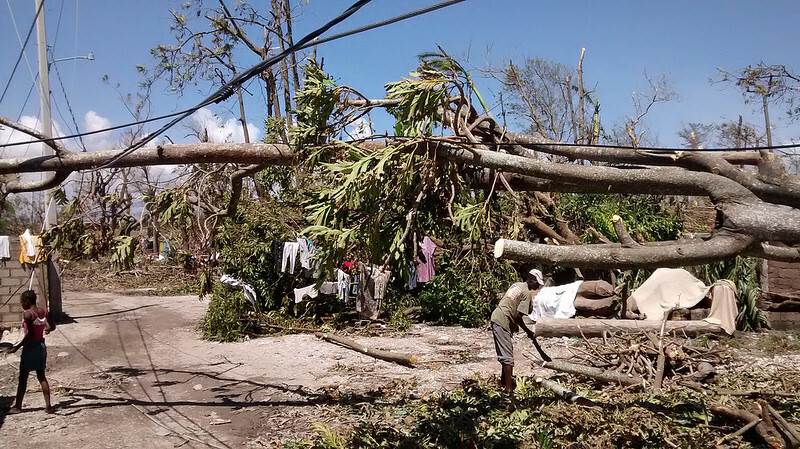 We are looking into fast-tracking the publication of data on our (Global Affairs Canada) response to Matthew in Haiti. We will be using the Glide ID TC-2016-000106-HTI, as per the discussion in the thread above. Is anyone else already publishing data or planning to do so? We publish data on these facilities in our Project Browser (link above) and in our IATI files, but not in the FTS. We provide lump payments into the facility; these payments would appear as transactions in our project data. However, these lump payments are not related to specific emergencies. The managers of the facilities report to the FTS as funds are used to respond to various emergencies. I’m inclined to say that given the above, we should NOT be including use of the above facilities in our IATI data on our response to Matthew. Ideally, the managers of the funds should be publishing their own IATI data with these details (including GAC as the source of funds), which would make it consistent with the data they will report to the FTS. It will create a slight discrepancy in our own numbers though, as funds drawn from both facilities are included in our overall response ( http://international.gc.ca/world-monde/crisis-crises/caribbean-caraibes.aspx?lang=eng). Is the above reasoning correct? Is anyone taking a different approach with a similar issue? we should NOT be including use of the above facilities in our IATI data on our response to Matthew. Ideally, the managers of the funds should be publishing their own IATI data with these details (including GAC as the source of funds), which would make it consistent with the data they will report to the FTS. @YohannaLoucheur I agree with this 100%.My rule of thumb is that, when in doubt, it is the owners of the bank accounts who should be reporting transactions to IATI. Reporting transactions on behalf of a downstream partner can only (in the longer term) lead to confusion.